Great gift idea or treat yourself! Here's a little square pouch for you to tuck your treasures inside. 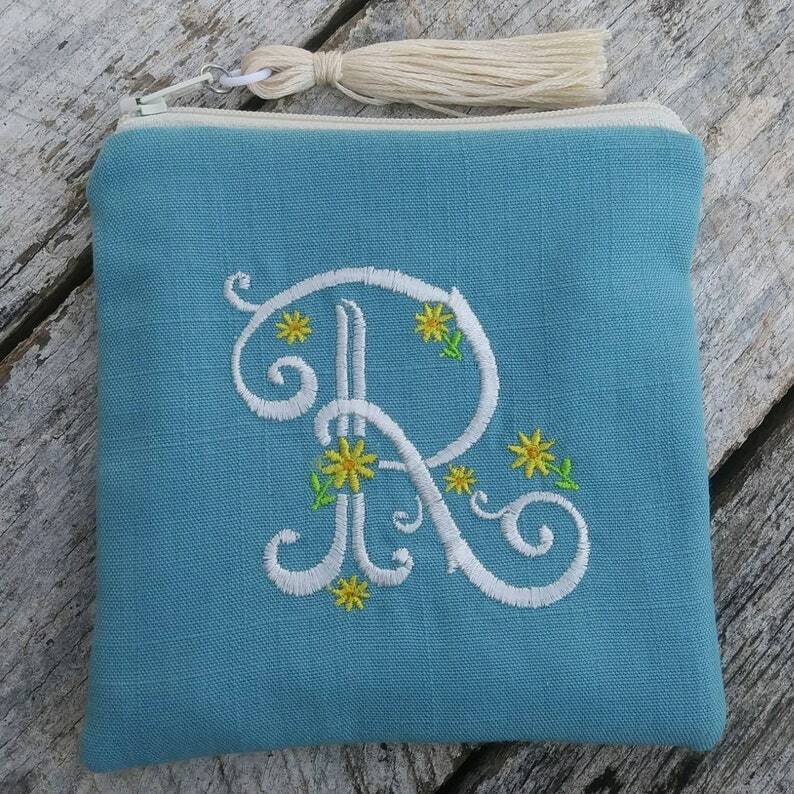 On the front of the pouch is an embroidered monogram with pretty sprung flowers. The pouch measures approximately 5 inches square. Just the right size to tuck a few small goodies into your purse. The pouch body is made of your choice of pink or blue linen blend fabric and is lined with a vintage black and cream floral cotton fabric. The zipper is cream colored to match the monogram color and attached tassel. A layer of flannel between the fabrics gives the pouch extra body and a nice squishiness. Turn around time for these pouches is currently around 5 days. Please be patient since this item will be made to order just for you! Pouches can easily tuck into any other order and will ship for no additional cost if purchased with another item. All items ship from our pet-free and smoke-free home. When you check out, please be sure to let me know your color choice and initial! If you have any questions, please feel free to ask.